When it comes to Mark Angel Comedy and Emmanuella the only thing that comes to my mind is raw talent at its peak. Most of the time I actually find it hard to believe that Emmanuella is just six years old. How can a six year old child possess the ability to make even the oldest amongst men roll on the floor with laughter? Nigeria is the most populated black Nation in the world and they love to laugh,top comedians sell out events and shows and also put up funny videos on YouTube and earn good money from that. An example of that is the case of Mark Angel Comedy and Emmanuella comedy,they have a Hugh presence on social media especially YouTube. Before I continue with mark angel comedy and emmanuella I want us to look at the history of comedy in Nigeria. How it all began,who were the fore runners of Nigerian comedy? who were the people that paved the way for this present day generation of comedians? popularly known as Gringory was one of the founders of comedy in Nigeria. He acted hand in hand with one of Nigeria's veteran comedy lords Chika Okpala,in most of the drama series he acted as his house boy. James Iroha passed away in year 2012 at the age of 69. Back then there was nothing like stand up comedy or you tube video streaming, these men made Nigerians laugh through drama series televised through the national TV station. Another living legend that played a role in making comedy popular in Nigeria is no other than Chika Okpala alias Chief Zebrudaya Okoroigwe Nwogbo alias 4.30. A nickname he got from his role in one of Nigeria earliest comedy TV program titled ''the masquerade". It aired in Nigeria from 1983 to 1993. At 2017 Big Brother Naija show,young Nigerian housemates disclosed that they did not know who Chika Okpala was,but I guess they will be familiar with names like Basket Mouth,IgoDye,Bovi,Emmanuella, Akpororo,Mark Angel,AY etc. Born Alleluia Atunyota Akporobomeriere ,he has been credited as the father of modern comedy in Nigeria,also he changed the game of comedy and made it lucrative starting from when he charged the paltry sum of N50 to perform at the pavilion of Bendel State University Ekpoma. From that period Ali Baba began to monetize and change the negative perception that people have about comedians. Before Ali Baba changed the game,comedians and comedy was seen as a very low earning occupation in fact it was actually not profitable, to add insult to injury comedians were seen as school drop outs /Clowns or touts that weren't educated. All that was about to change,in the year 1998 Ali Baba registered his company,also he erected bill boards in three strategic positions in Lagos which costs about N150,000 each. He went ahead to make Nigerian comedy to become very lucrative and was the earliest comedian to become very rich from comedy,he has been in the profession for over twenty two years. Nigerian comedians are now respected and well paid,they organize shows in and out of Nigeria and they earn well,they are now seen as celebrities. 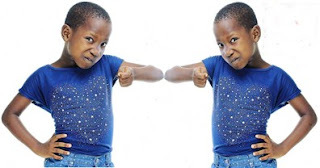 Mark Angel Comedy and Emmanuella has gone viral on YouTube. Mark Angel grew up in Port Harcourt, Rivers State. He came from a small family of three kids. Emmanuella is his niece,he is not her father. Mark Secured admission to study medicine at Obafemi AwolowoUniversity in 2008. Dropped out of School due to financial constraint, was hoping to be sponsored by his uncle,unfortunately his uncle passed away. Mark Angel doesn't regret his actions because he wouldn't have found satisfaction in studying medicine and surgery. Mark Angel later came to Lagos to stay with a friend. Started getting gigs as an MC at events. He started shooting movies with Denilson Igwe.That was how it all started. Mark Angel says he still plans on going back to school to study Business or anything related to security. He recalled crying on set of the this is not my real face skit. The children he was working with didn't seem to get their lines right,they kept on looking at the camera.He became so frustrated that he cried on set.However Emmanuella walked up to him and told him not to give up,According to mark angel that was the most emotional moment of his life. Some of her popular skits include Oga Land lord, "Emanuella Sleep," "My Real Face,"
Mark Angel of mark angel comedy is her uncle. Emmanuella has lived with Mark Angels family all her life. Mark Angel is the owner of the comic vids. Emmanuella's parents are alive but she doesn't live with them,however they are proud of her. Emmanuella was born on the 22nd July 2010.